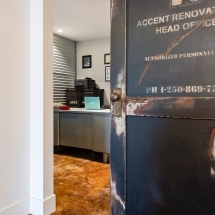 At Accent Renovations we showcase a lot of our residential renovation projects but we also provide office & commercial renovations. 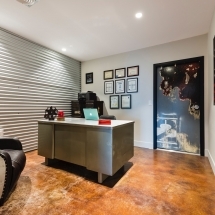 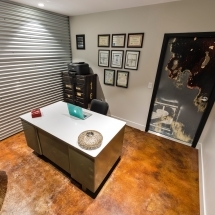 If you’re looking for a contractor to update your office space, we can help! 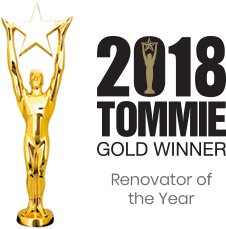 This commercial renovation project for the Associated Contractors office is the recipient of both a Gold Tommie Award for 2016 for Excellence in Commercial Renovation. 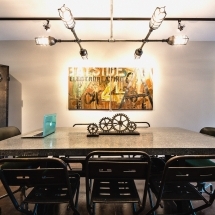 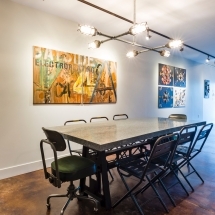 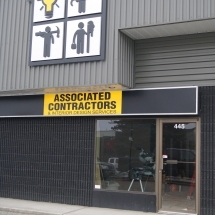 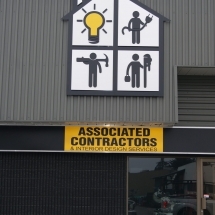 Associated Contractors is a unique concept space which was designed as a hub for independent contractors to set up their headquarters. 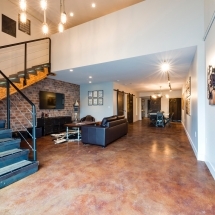 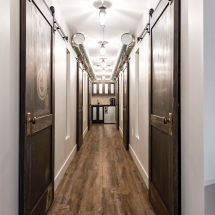 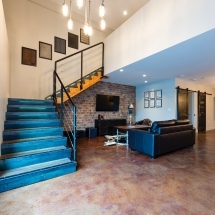 Innovative design features include re-purposed concrete on the first floor, reclaimed materials throughout including sliding barn doors, wooden table tops, chairs, and the Parallam staircase with LED lighting. 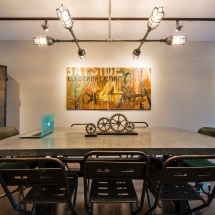 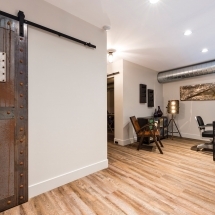 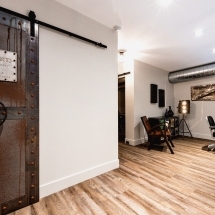 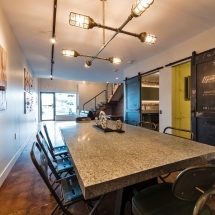 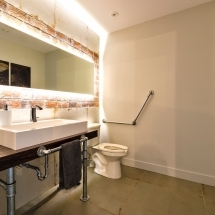 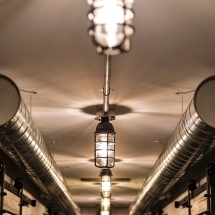 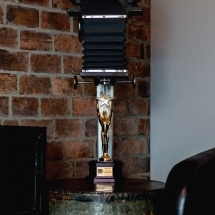 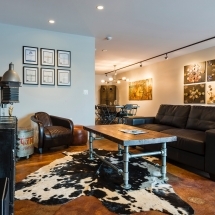 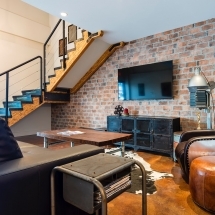 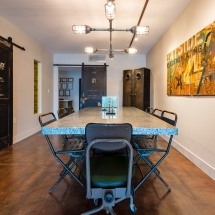 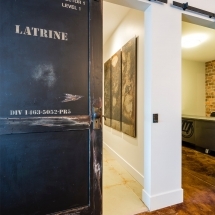 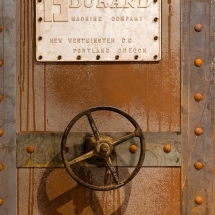 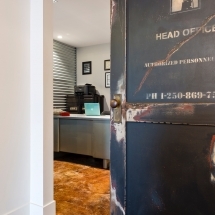 The whole look and feel says “Reclaimed industrial with a modern twist”. 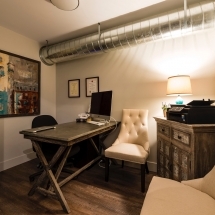 We have created a unique shared workspace that embodies the highest level of professionalism and quality in our industry. 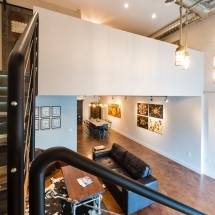 The space showcases both modern design and unique building materials.